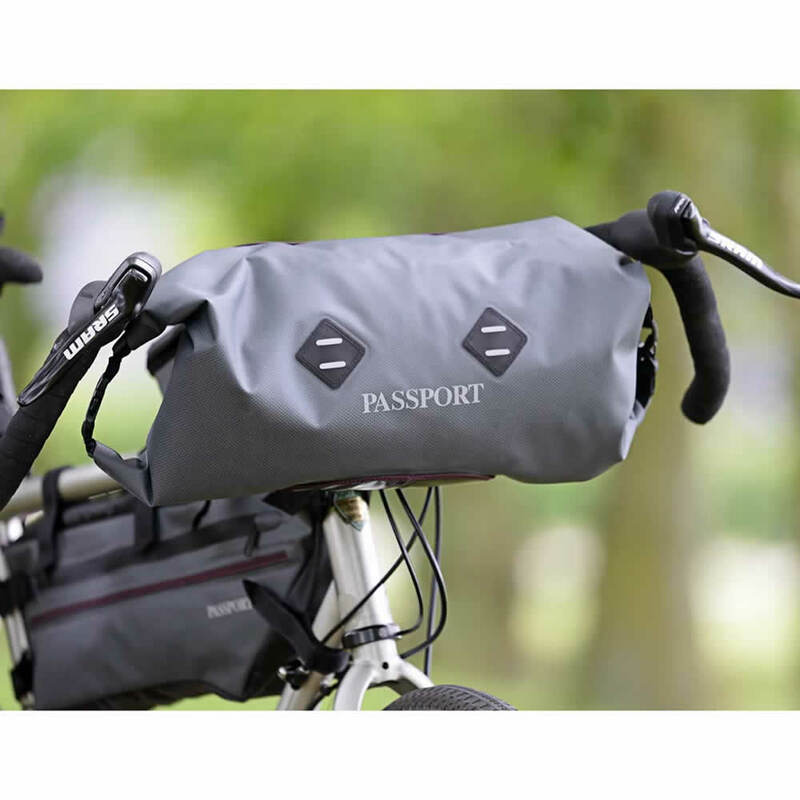 The Passport Handlebar Bag is essentially a simple double ended barrel style dry-bag with integrated rubberised nylon straps to attach it to your handlebars. 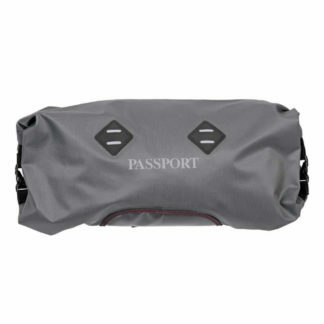 It’s great for stuffing away lightweight items such as clothing, sleeping bags etc. 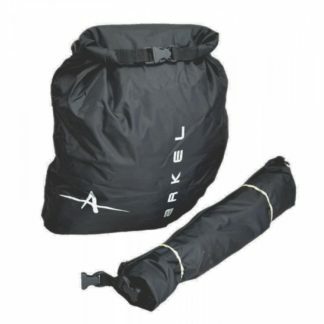 Lightweight nylon material with a laminated waterproof thermo-plastic coating and welded seams keeps everything dry. 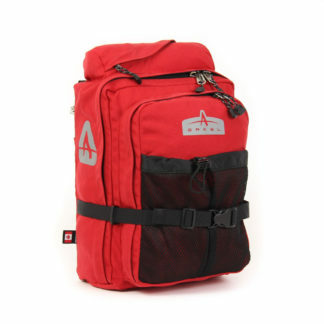 Double ended roll-top type closer aids the waterproof function and allows access from either end of the bag, and a degree of customised symmetrical sizing (depending on the contents). Heavy duty lower insert tarpaulin base acts as an easy clean mud shield and adds extra durability where the bag contacts with the bike. 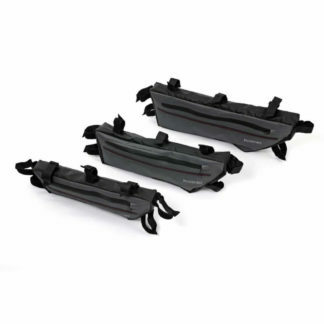 Twin LED light mounts allow lightweight clip-on LED lights to be used for extra visibility. 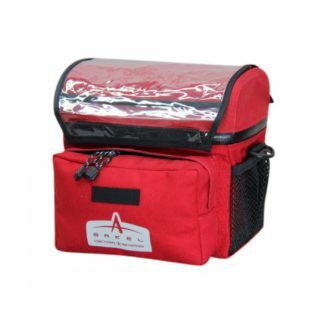 Please ensure there is adequate clear space available between the handlebar bag base and the front tyre with a fully loaded pack. 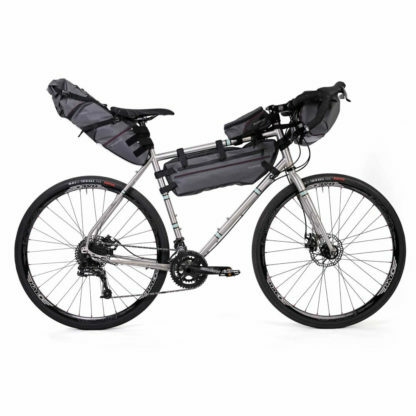 Please use extra caution if considering use with a suspension fork to ensure that the front wheel will not connect with the bag when the suspension is fully compressed. 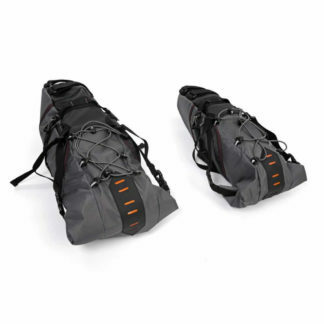 Material210D Nylon with laminated TPU coating.